Encaustic is the art of painting with beeswax mixed with colored pigments and resin. The third edition of this popular book offers illustrated step-by-step instructions on how to bring this ancient art form into the modern studio. Topics include safely painting and fusing, adding and removing wax, photo transfers, incising lines, wax collage, adding texture, and mixing your own encaustic medium and paint. The Inspiration Gallery includes 35 talented artists who share their work, reveal their personal painting methods and explain why they make the work they do. Find out more. Easy directions on how to purchase and read an eBook. 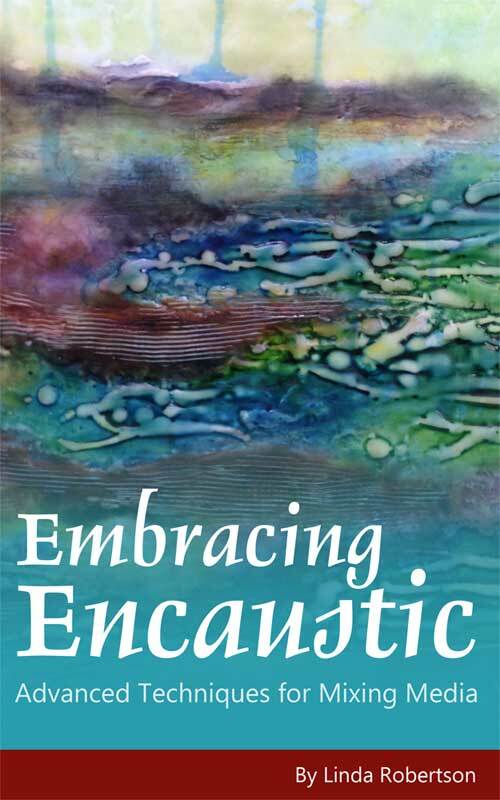 Embracing Encaustic: Advanced Techniques for Mixing Media builds on the basic techniques illustrated in my first book, but as long as you know how to apply and fuse encaustic paint, this book will be just right for you. You'll find step-by-step instructions on working with oil sticks, burning shellac, creating encaustic monotypes, drawing on wax with graphite and artists crayons, using stencils, and pouring wax. The Inspiration Gallery will introduce you to the work of 36 artists and serve as a springboard for you to find your own unique way of working with this exciting medium. Find out more. 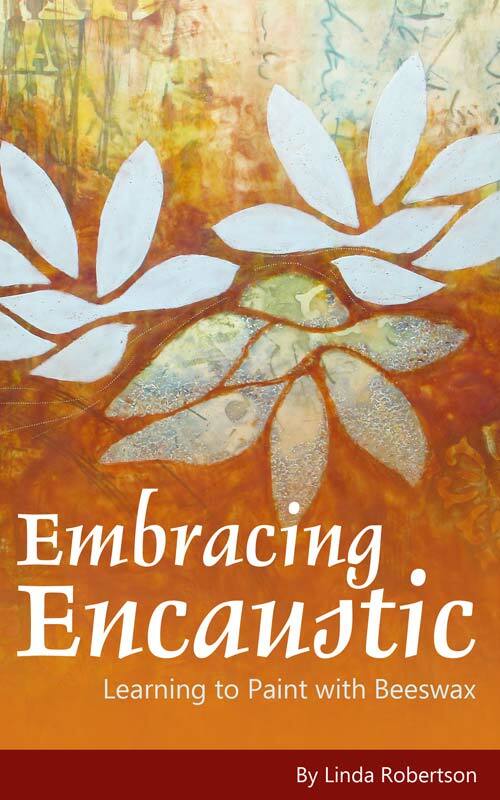 Are you just starting to set up your encaustic studio? This set will make your life easy! 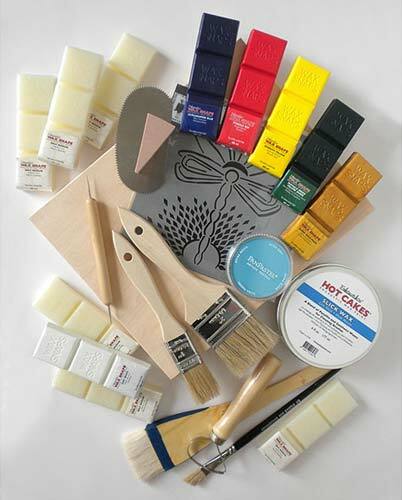 I've personally selected all of these items, which include encaustic medium, encaustic paint, tools, brushes, a cradled panel, PanPastel and stencil, plus access to three of my online encaustic lessons showing you how to use everything in the set. View more details here. 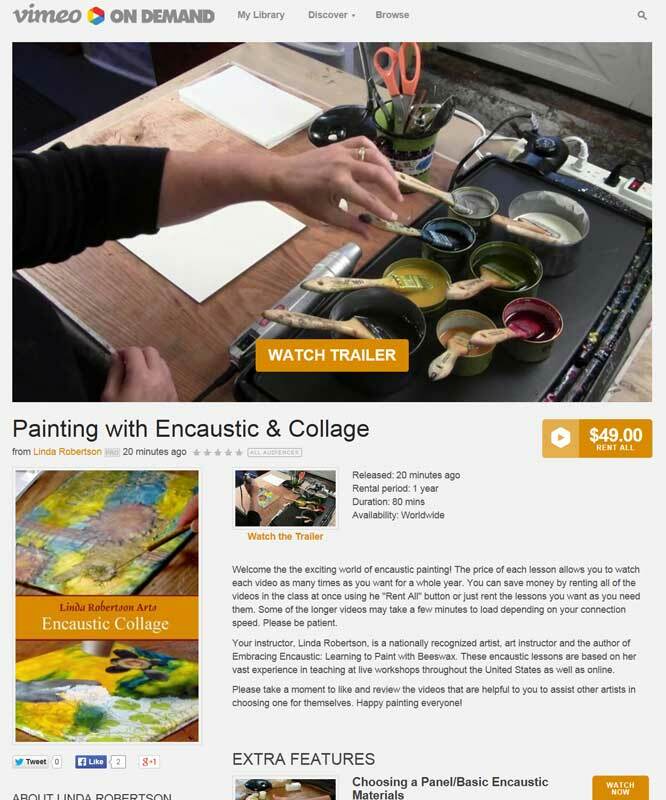 RobertsonWorkshops.com offers video workshops in encaustic wax painting, taught by Linda Robertson, the author of the Embracing Encaustic book series. Linda has taught live workshops throughout the U.S. and Canada, and now she's bringing her unique teaching style right into your studio via the web. You'll have instant 24/7 access to watch the videos as many times as you'd like for a full year so you can wor at your own pace.